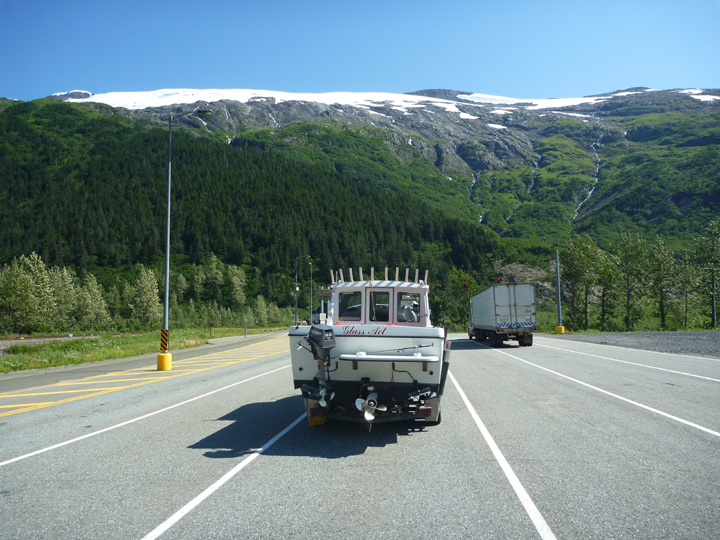 We didn’t have much reason to go to Whittier, AK except to experience driving through the Anton Anderson Memorial Tunnel, the longest combined rail and highway tunnel in North America. It’s unique design enables a single lane of traffic to travel directly over railroad tracks. Cars drive one way on the hour, the other on the half hour, with trains passing through in-between times. Pretty amazing. 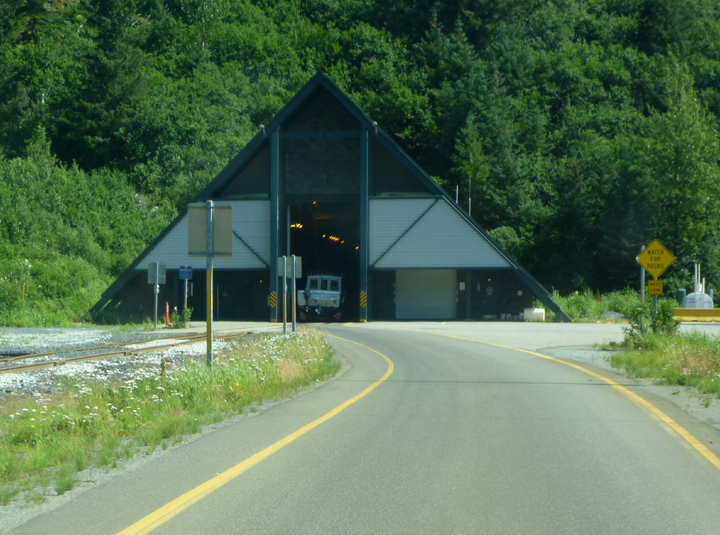 Lining up to go through the tunnel under Maynard Mountain shown above. Tunnel entrance. 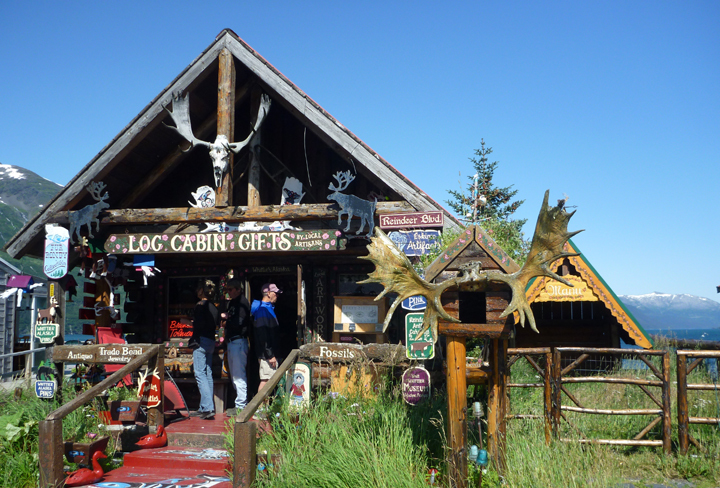 Built in A-Frame shape to withstand avalanches. 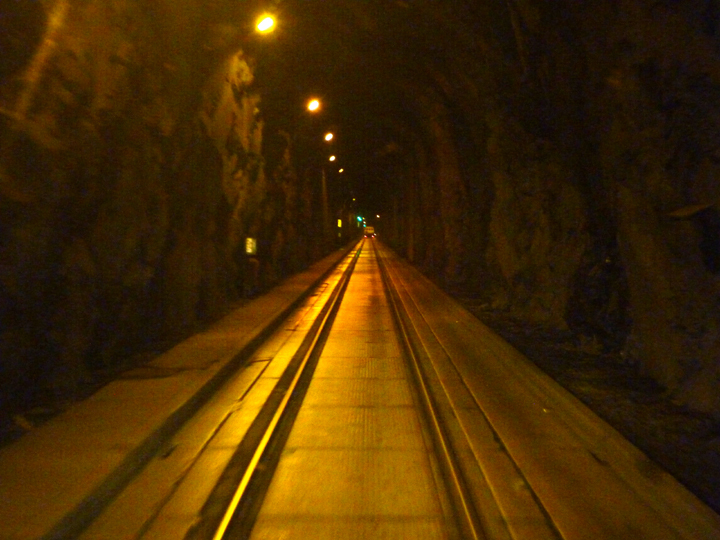 Inside the tunnel – note railroad tracks below and rock walls. 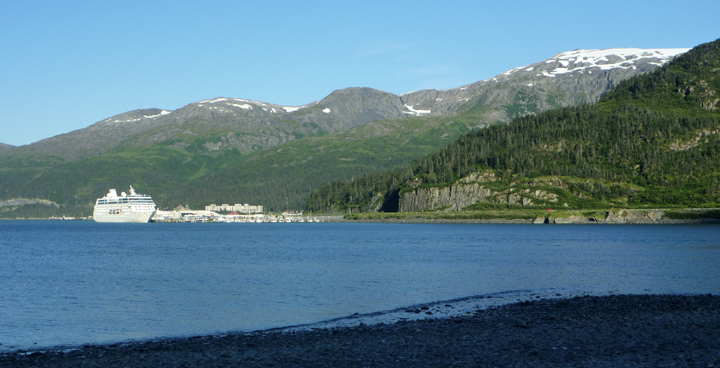 Whittier from our free campsite at the head of the bay. They like tunnels here. This one takes pedestrians from the waterfront to what they call downtown. The only interesting place we found in Whittier. 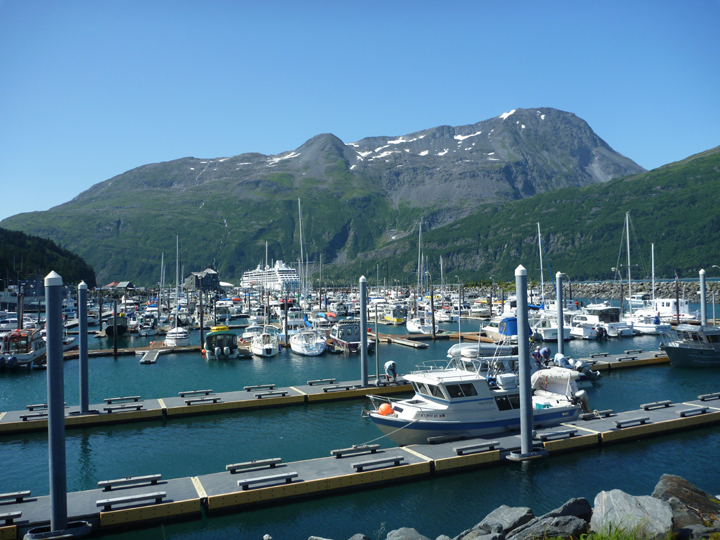 Cruise ships, commercial fishing boats, charter boats, and yachts share the harbor. 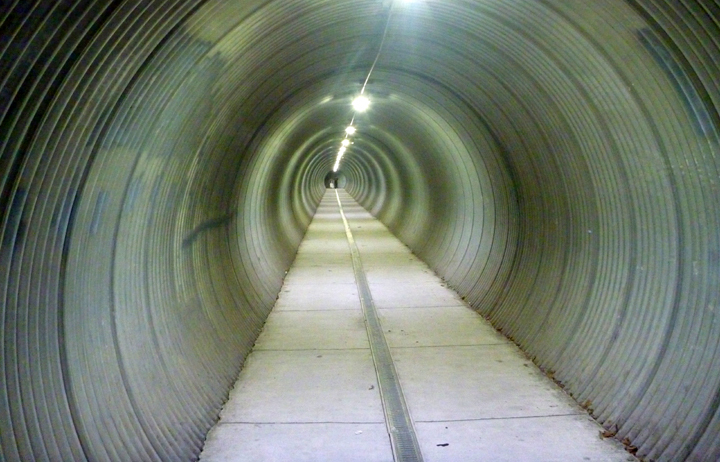 Yes, that Anton Anderson Tunnel is amazing – and the pedestrian tunnel! We see so much from you sharing your fab photo-blog journey!